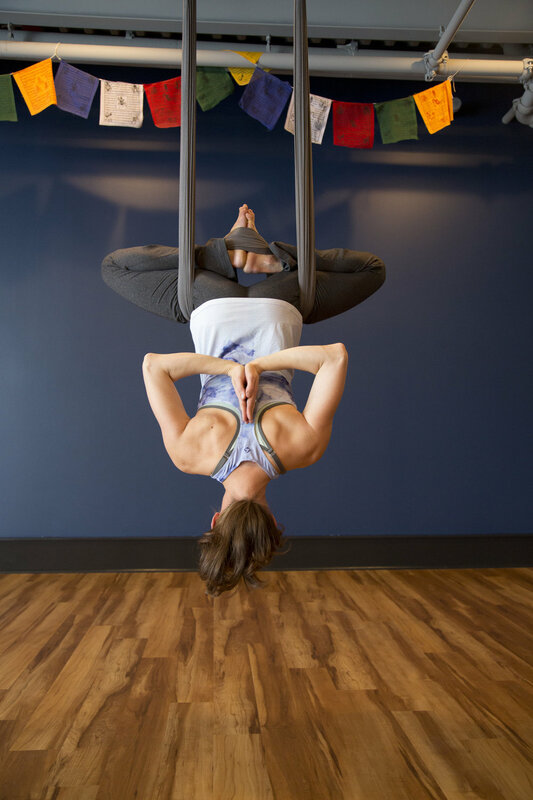 Private Lessons in Aerial Dance, Aerial Yoga, and yoga on the mat. Yoga is an amazing practice for body, mind, and spirit. Whatever your relationship to yoga, you can enhance your practice with private lessons. These individually tailored classes fit into your busy life, and can take place in the comfort of your own home or at a local yoga studio. I specialize in private lessons for beginners, for intermediate practitioners trying to take their practice to the next level, for athletes, and for pre/postnatal women. Private yoga lessons are an amazing gift for yourself or for a loved one. Contact Nicole to set up a group lesson for 3+ people, this is a great evening out activity, celebration activity, or gift! Contact me to schedule your private lessons or with any questions!